The Rodeo was in town! A parade down main street on Saturday night kicked off the festivities, and we joined Liam curbside to gather as much candy as our bag would hold! (Lily was given the option of walking in the parade with Papa Kurt on the bank float, but decided she wouldn't get enough candy if she had to "work" during the parade). 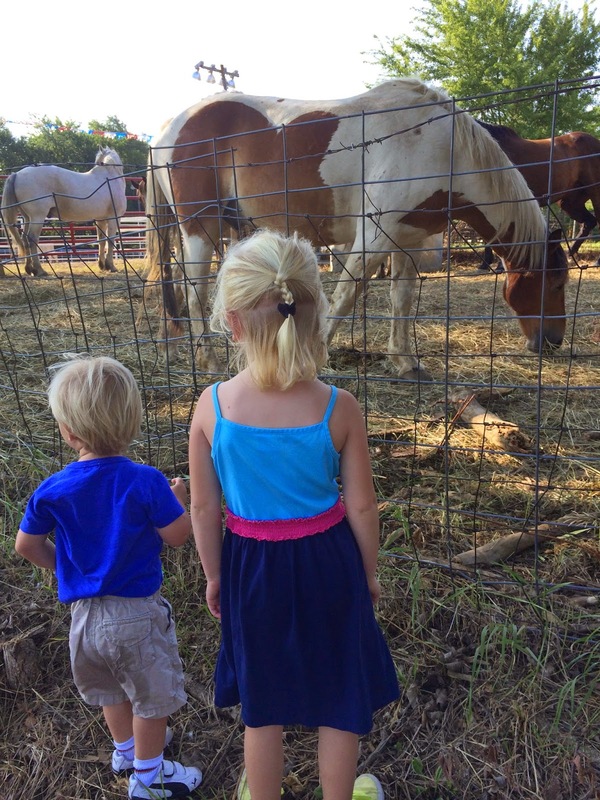 We walked with Auntie, Uncle Casey, and Kona Bear to check out the horses and bulls the morning of the rodeo. Sunday night, Nanny and Papa Kurt treated us to the main event. 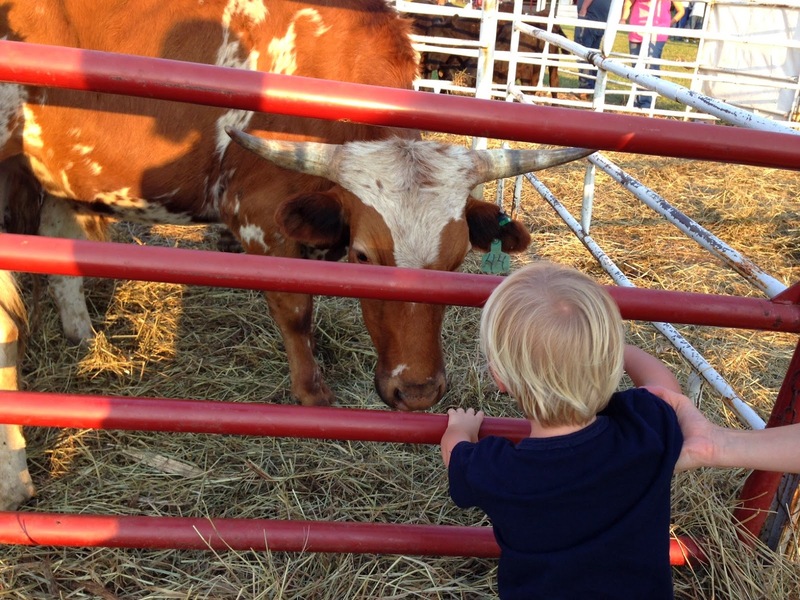 We were up close and personal with the horses and bulls…front row seats at the rodeo! William was very concerned when the cowboys "fall down!" and Lily likes the roping of the calves. 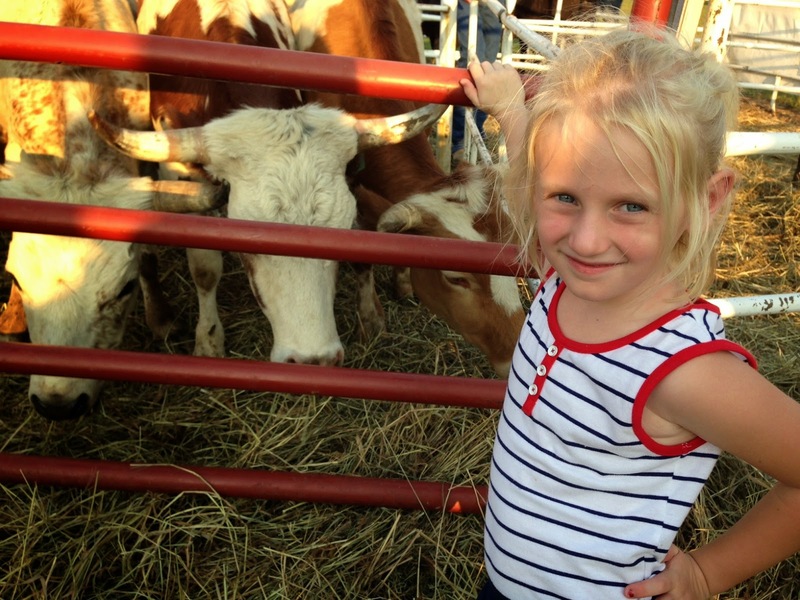 She also stood near the pen to name each bull and calf after their performances. Such a fun weekend, and very nostalgic for me. 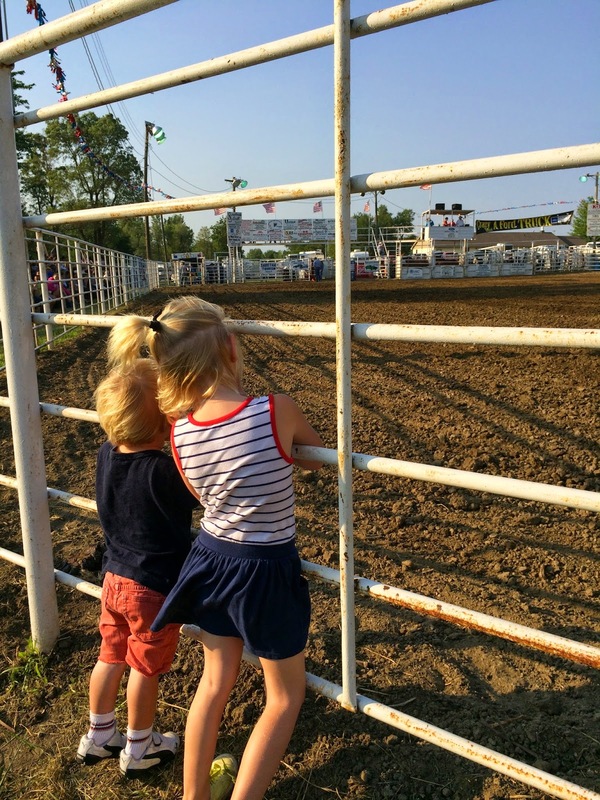 Ryan and I attended these parades and rodeos every summer growing up, so it was extra special to see Lily and William enjoying it as much as we used to!